Calling All U.S. Organizers of Traditional Dance, Music, and Song! 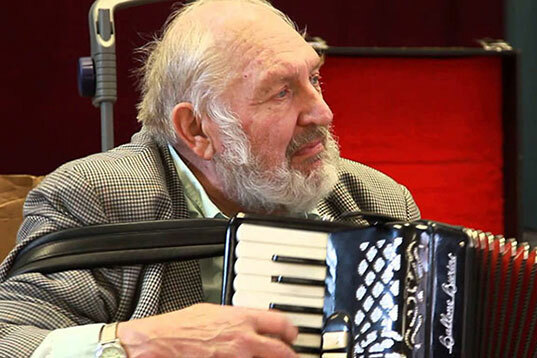 We are thrilled to announce that the foundational Roy Dommett's Morris Notes are now accessible online for public use on the CDSS website. These notes, organized into five volumes in 1986 but out of print since the 1990s, are a veritable treasure-trove of information. Now with the help of their editor, Dr. Anthony Barrand, the assistance of Tom Toleno, Dr. Paul Eric Smith, and the permission of Roy's son, Michael, this incredible resource is once again available. The Notes include background commentary and notations of Cotswold (or Wychwood) Morris, North-West Morris, Garland Dances, Sword Dances, "Other Morris" (including Border, Molly, and Clog) and more! Click here to read more and access the Morris Notes. Photo: Michael SiemonThanks to the generosity of friends, members, and camp participants, CDSS offers a variety of scholarships to those who need assistance to participate in one of our summer programs. To apply, fill out the scholarship portion of the online camp registration form or visit www.cdss.org/scholarships. CDSS Group Affiliates take note! Through our Matching Scholarships program, we can help you send someone from your area to camp to enjoy a life-changing week and bring back skills and energy to boost your community. Visit www.cdss.org/scholarships#matching-scholarships to apply. Photo: Ogontz CampEach year we need help running our summer dance and music camps; if one of the jobs below appeals to you, write to Steve Howe, Director of Programs. Office positions are available at Pinewoods from July 14 - August 25, at Ogontz from August 3-11, and at Timber Ridge and Cavell from August 11-19. These include data entry and reporting, bookstore, parties, and auction management, as well as other logistical tasks. Sound system operators are needed at all weeks, with compensation ranging from full scholarship to paid staff, depending on the session. In exchange for full scholarships, we need lifeguards with CPR/AED/First Aid certificates for all sessions, and a doctor or nurse for Family and Campers’ weeks. Some partial scholarships are also available at Ogontz for kitchen and/or grounds work, at Cavell and at Timber Ridge for setup work, and at all Family and Campers’ weeks, for evening monitoring of sleeping children as well as for assistant lifeguards. Photo: Will LovingTo serve our mission of encouraging thriving local communities throughout the continent of North America, CDSS undertook a study to learn how to best support local traditional music, dance, and song organizers in Canada. The study focused on local organizers as they are essential to fostering the communities of dance, music, and song traditions that we collectively value. You’ll find the link to the survey results here. As a follow-up to the Canadian survey, we are launching a survey of U.S. traditional dance, music, and song organizers. If you are a U.S. organizer, we would love to hear from you. Follow this link for the survey and fill it out by April 13th. Thank you for your participation! 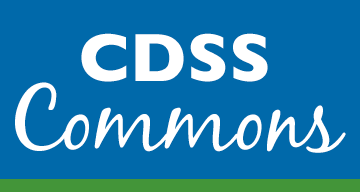 We owe you a status update on the CDSS online Member Directory. As you know, 2017 was a year of big transitions for CDSS. Both the Executive Director and Business Manager positions were vacated in January, and then our Director of Communications retired in June. Interim support was quickly put in place, search and hiring processes ensued, and the top priorities became maintaining quality programming and ensuring the financial integrity of the organization while we identified the right candidates for the open leadership positions. Those things were done very well, and I am exceedingly proud of the staff for their role in carrying the organization forward during that time. Because of their stewardship and the exceptional work of the CDSS board, we are once again in a high-functioning place. Unfortunately, the shift in priorities last year meant that we fell behind on some things. Restocking our store inventory, closing communication loops, and maintaining our online Member Directory are the biggest examples of this. We know that our members and supporters have felt the impact of these shortcomings and it weighs heavily on us. Right now we are working very hard to get those things remedied. We have invested new energy into the store and placed orders to build up our supply of popular items. We’ve been catching up on communications and are ready to provide better customer service again. The Member Directory, however, has a more complex solution and requires time. The major hold up on the Member Directory has to do with the fact that we are in the midst of a data migration and having to choreograph that carefully. Section by section, function by function, we are moving our business out of the old system and into the new one. Camp registration needed to be prioritized at the beginning of this year and that’s where migration and design work has been focused these first couple of months. The Member Directory work will come later in the year. It’s tricky work, because the Directory must sync with updates to member contact information, and we want to honor people’s privacy preferences. That’s what we will be working on soon. We have established a focused Directory Action Team, and will continue to update you on our progress. In the meantime, you can help us out A LOT by logging into your account here! Ensuring now that you can login will significantly streamline our efforts and help us get the Member Directory back online. If you have not logged onto your CDSS account since August 17, 2017, please note that your login information has changed. Most of you received an email from us on 8/17/17 containing your new login and instructions for logging on. You might still have it! If you encounter difficulties logging on and no longer have or didn't get that email, we are ready to assist you. Thank you for your patience and ongoing support. We want to build a Member Directory that works for you! The Spring News is online and it's packed with great information of interest to dancers, singers, callers, and organizers. 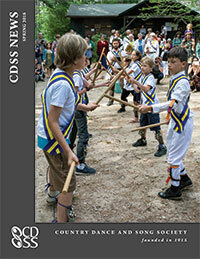 It includes a News from Canada column about our recently completed survey of traditional dance, music, and song organizers in Canada (Emily L. Addison); a new Marketing Tips column focusing on the value of the old school press release to promote event participation (Lisa C. Brown and David N. Boyer of Country Dancers of Rochester); CDSS Sings column about The Cowboy (Martha Burns); a Community Outreach update; three dances (a contra, a waltz circle mixer, and an ECD), and more. Kick back and enjoy! Join CDSS. Join us on Facebook. Share with a Friend. Happy Spring One and All!